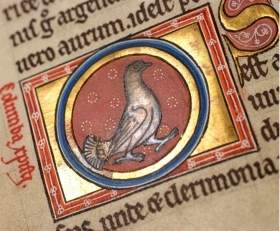 The Aberdeen Bestiary, created in England in around 1200 and first documented in the Royal Library at Westminster Palace in 1542, is one of the finest surviving examples of a medieval illuminated manuscript and has been in the care of the University of Aberdeen for almost four centuries. It has now been digitally enhanced and made available online for the first time in high definition - returning the precious book to its original purpose of learning and revealing details previously unseen to the naked eye. This enhancement has provided answers for experts who have long debated whether the Bestiary, which is lavishly illustrated in gold leaf, was commissioned for a unique high-status client or seized during King Henry’s reign from a dissolved monastic library. Professor Jane Geddes, an art historian from the University of Aberdeen, says marks and annotations that were not previously visible point to it having been handpicked by scouts of King Henry VIII when they scoured monasteries for valuables, rather than it being commissioned in the first place for a royal or high-ranking client. “The Aberdeen Bestiary is one of the most lavish ever produced but it was never fully completed and so the edges of the pages were not finished and tidied up,” she said. “This means that the tiny notes from those who created it still remain in the margins providing invaluable clues about its creation and provenance. “Some were visible to the naked eye but digitisation has revealed many more which had simply looked like imperfections in the parchment. “When we examine these in detail we can see clear evidence that it was produced in a busy scriptorium. There are sketches in the margin, newly visible with enhanced photography, which show the artist practising with models. The new photography has also enabled experts at the University to identify stress marks on the text and previously unseen fingerprints which all point to a teaching purpose in its creation. “On many of the words there are tiny marks which would have provided a guide to the correct pronunciation when the book was being read aloud,” Professor Geddes adds. “This shows the book was designed for an audience, probably of teacher and pupils, and used to provide a Christian moral message through both its Latin words and striking illustrations. “We’ve also been able to see for the first time that most pages have dirty finger marks in the bottom corner, from turning the folio. But at least one has repeated dirty thumb marks in the centre of the top margin, created by turning the book around for public viewing. Siobhán Convery, Head of Special Collections at the University of Aberdeen, said she was delighted to be able to bring the 800-year-old ‘University treasure’ full circle to once again make it a tool for learning. 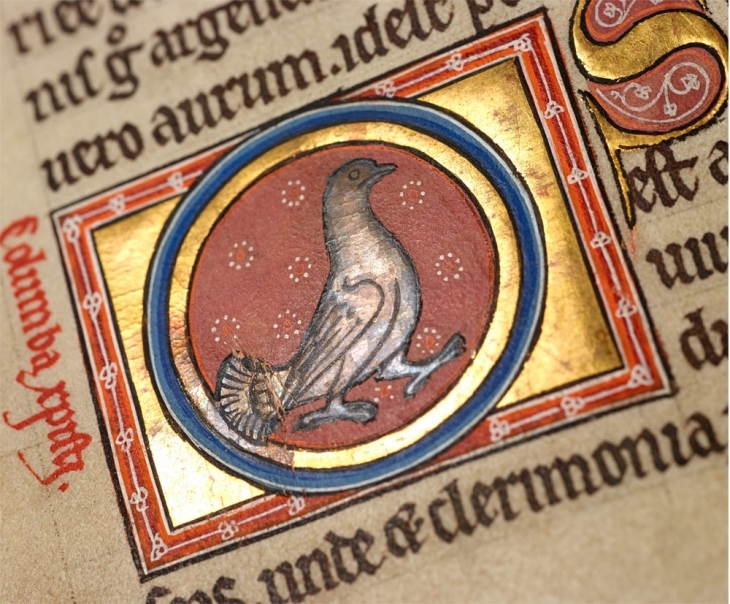 “The Aberdeen Bestiary is the jewel in the crown of the University’s holdings and attracts interest from all around the world. “A website was created for it back in 1996 allowing people across the world to get access to this extraordinary manuscript but obviously since that time technology has moved on considerably and the quality of the new digital imagery is truly remarkable.